"The Champs Avalins is our most popular property in the Alps. Why? Because it offers great value catered accommodation in a top resort and the location is perfect for skiing the formidable Espace Killy area. The access to the slopes from the Champs Avalins is ideal, with the Funival monorail and La Daille gondola practically on the doorstep. From the Champs Avalins, you are two lifts away from Tignes. The runs home are better for a range of abilities than properties in the centre of Val D’Isere. Beginners can take the aptly named ‘Verte’ green run through the trees down to La Daille, intermediates can take blues and reds, including a World Cup run, and experts can enjoy a challenging mogul filled black. 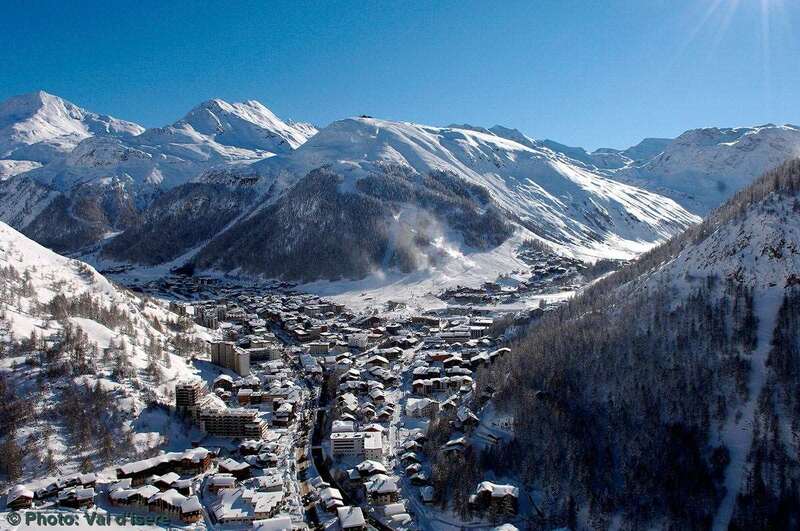 The Val d’Isere village centre in is a five minute bus ride away. And best of all, the infamously good Folie Douce mountain restaurant and club is on the mountain, a 2400m gondola ride above La Daille, "
Welcome to Chalet Hotel Champs Avalins! Apart from the advantages of the excellent location at the foot of Val d’Isère’s La Daille slopes, you are assured a genuinely warm welcome from our team of professional, friendly staff, led by an experienced Manager. In common with the rest of Val d’Isère’s La Daille area, the hotel might not win any awards for the cutest or prettiest exterior in the Alps, but as with all properties, it is the location that really counts! And that’s where the Champs Avalins really scores. You can ski back to within just 50m of the hotel, and each morning you have a choice of lifts right on hand to whisk you up the mountain. Inside, the Champs Avalins offers a comfortable and welcoming atmosphere. The attractive restaurant on the first floor have views to the piste, and forms the centrepiece of our hotel. In contrast to other properties, we have two dinner sittings in our dining room, one from 6.30pm for aperitifs, and the other from 8pm, creating a cosier dinner ambience, and giving you the possibility of enjoying more après-ski, either in the early evening on some nights or after dinner on other nights. We will do our best to accommodate your individual preferences and you can state which sitting you prefer (if any) when booking. The bedrooms are generally a good size and attractively furnished, and all of them have well appointed shower or bathrooms, most with smart new tiling from floor to ceiling. Most rooms have balconies, many of which are south-facing and overlook the piste where the World Cup Downhill run finishes, and there are some pairs of rooms with an inter-connecting door available on request. 3 course set evening menu which start with a glass of prosecco and including wine & tea/coffee to finish on 6 days. Children of all ages are welcome on all dates. We serve a separate High Tea at 5:30pm for children aged 11 years and under with an appropriate menu. However, parents may elect for their children (11 years and under) to eat with them at the adult meal times on payment of a £39 per child per week supplement. The chalet was more like a small hotel, the staff were great very attentive, the food was okay nothing special but made up for by the excellent wine served with dinner. The rooms were basic and the mattress I had definitely needed replacing but it was clean and tidy no major faults. Access from La Daille was great for the slopes the new gondola up to La Follie Douce was great and fast so even in springtime when the snow lower down was very soft you could catch the gondola back to the hotel no more than 100 yards away. As I got a good price for my trip I would highly recommend this hotel for a spring break. Incredibly impressed with the service we received throughout our time at Champs Avalins. The chalet was clean, warm and the rooms were well sized. The staff were very polite and helpful- they would always try their best to accomdate any requests. The food was excellent and far exceeded my expectations. This was a real highlight of the Chalet. In addition the free wine was not the standard box wine you get on ski holidays, but genuinely nice stuff- a really pleasant surprise. Location wise, you can not beat this place. You can ski to within 50m of the chalet. It’s located next to a regular and highly dependentable bus service which takes you all around the resort! 10/10 would go again !